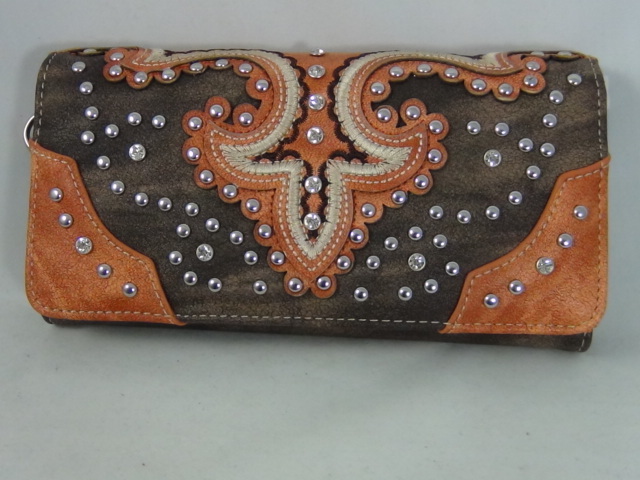 MONTANA WEST BROWN WALLET WITH BURNT ORANGE DESIGN AND RHINESTONES. WE HAVE ONE IN STOCK. 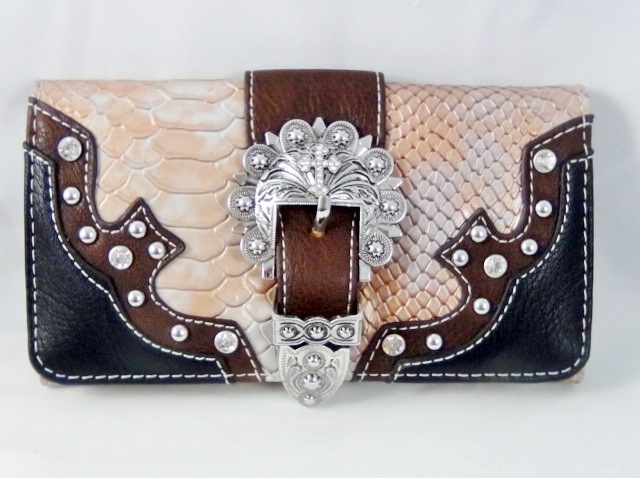 Category: Wallets. 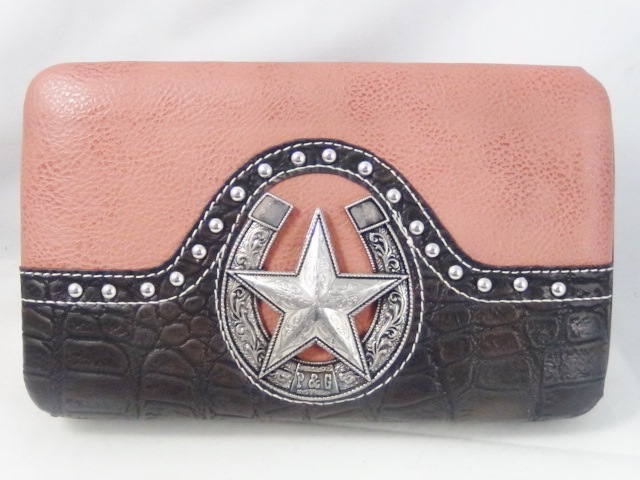 Tags: brown, BURNT ORANGE, MONTANA WEST, studs.